Last year, Tabby was very nervous at her school sports day. 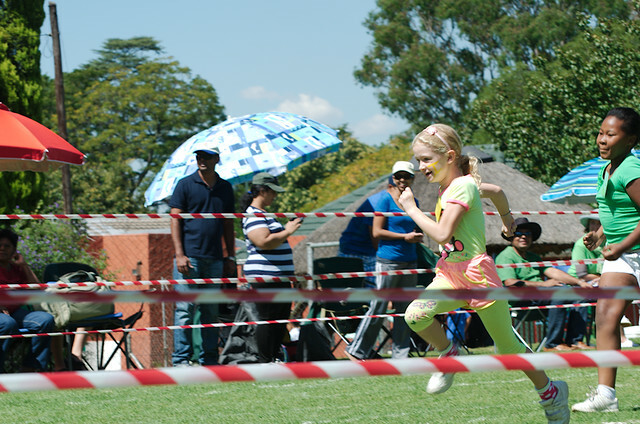 She was shy about running in front of people and had to be gently cajouled into competing (although this being a Montessori school, the competition element isn’t really the biggest part). This year was a different story – except for the wheelbarrow race, which she wouldn’t do, she loved it and couldn’t have been happier. We assume the wheelbarrow tantrum was to do with being tired as we’ only just got back from holiday. On a separate note – what happened to being able to share to WordPress directly from Flickr?